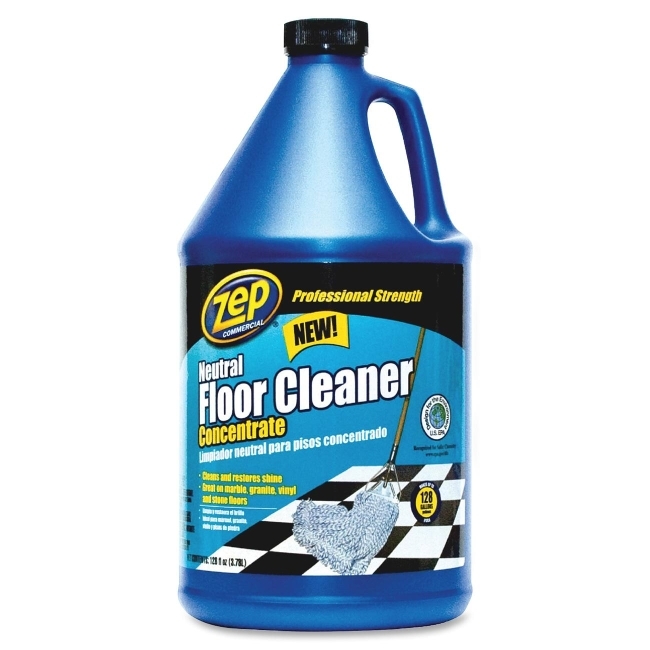 Professional-strength, neutral floor cleaner cleans and restores shine and is great on marble, granite, vinyl and stone floors. This concentrated formula makes up to 128 gallons of finished product. Neutral Floor Cleaner can be used in automatic floor scrubbers.